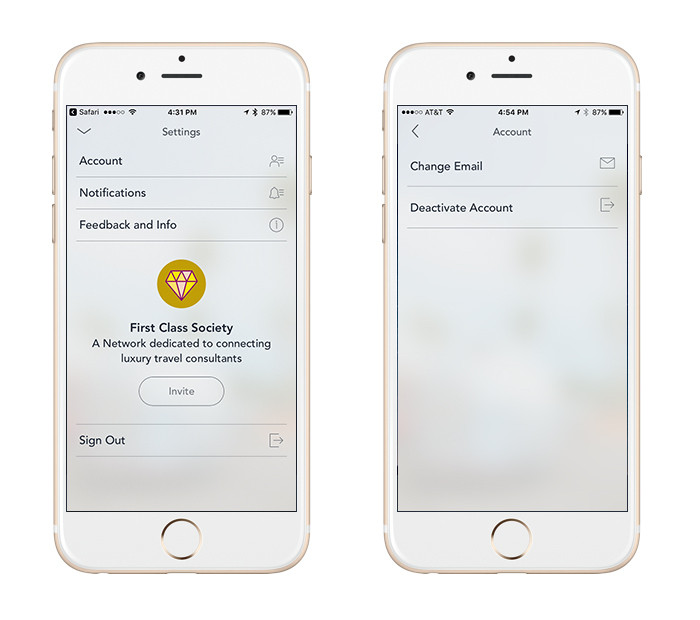 To change your account email or password in The Clubhouse on mobile, go to Your Settings(by tapping or clicking on the gear icon from your profile) and select Account. 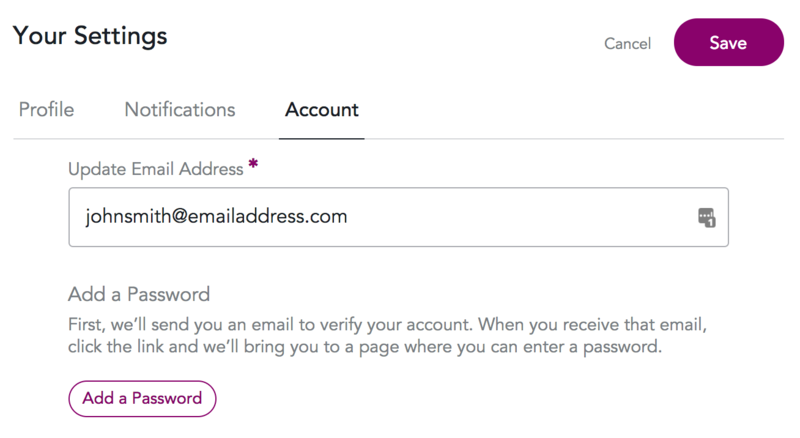 From here, you’ll see the option to change your email address or leave the network. If you’re signed into the club on the web, you’ll also see an option that lets you Add a Password if you are currently signing in via email or using the LinkedIn or Facebook option.